Mel Reynolds is taking it back. 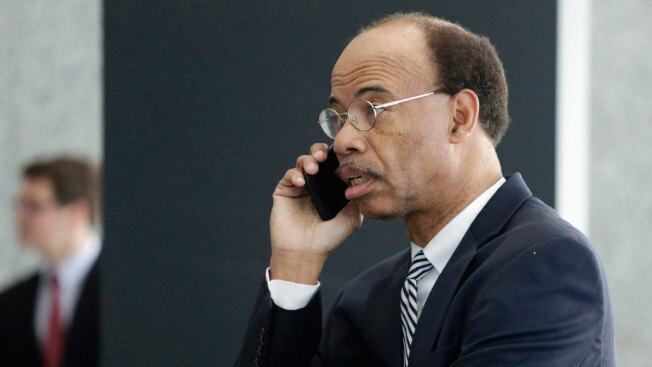 Despite telling a federal judge earlier this month he plans to plead guilty to misdemeanor tax charges, the former congressman now says he has changed his mind, the Chicago Sun-Times is reporting. The new filing confirms what Reynolds’ former lawyer, Richard Kling, first told the Chicago Sun-Times last week. Kling said Reynolds told him in more recent conversations that he still wants to go to trial on charges of failing to file federal tax returns between 2009 and 2012. Kling continues to serve as stand-by counsel in Reynolds’ case. However, Reynolds also filed a motion this week accusing federal prosecutors of misconduct, claiming “a mistrial must be ordered.” He alleged Homeland Security agents have accessed his computer without permission and discussed its contents with a federal prosecutor assigned to his case. He called for an investigation into the prosecutor’s actions. Reynolds’ computer was confiscated when he was arrested at the Atlanta airport upon his return from South Africa in April. “There is no way of knowing the extent of this outrageous violation and conduct by the prosecution,” Reynolds wrote. The former congressman previously said he would plead guilty, claiming he was in protective custody at a detention center in Kankakee and didn’t have access to areas of the prison or computers that would allow him to prepare for trial. Prosecutors have retorted that Reynolds himself requested protective custody, and he still has access to the law library and a computer. Reynolds’ trial is set for June 20.